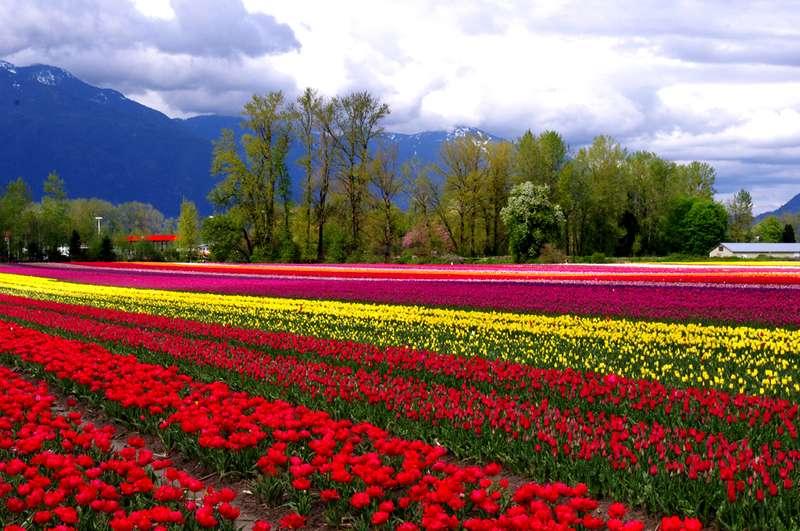 No, my wanderlust has not taken me to the tulip fields of Holland but to the Tulips of the Valley Festival here in Chilliwack, British Columbia, an hour’s drive from Vancouver. My last visit to the festival was in 2015 and which I shared with you in my post Petal Power. 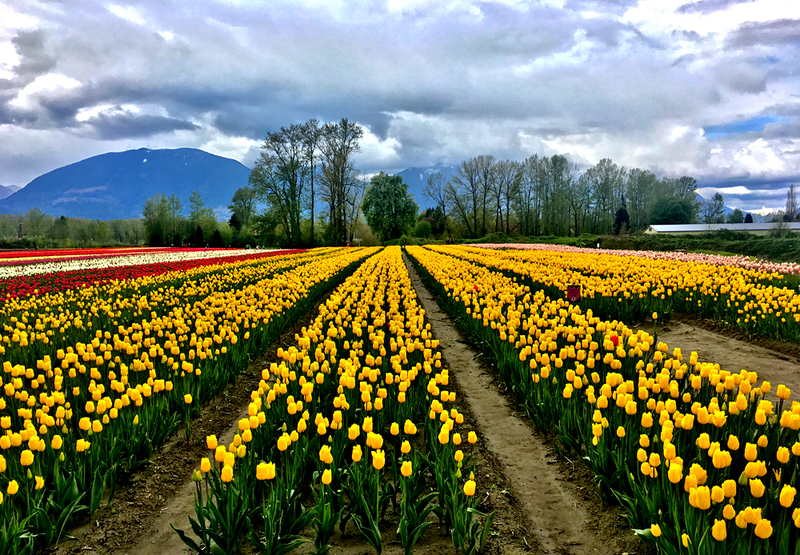 With the Festival’s new location this year our visit on Tuesday was perfect for this week’s Photo Challenge as no borders needed to be crossed to visit this little piece of heaven on earth filled with its seven million blooms. Enjoy the slide show and have your spirits raised with this seasonly perfect Gilbert and Sullivan classic from the Mikado performed by the D’Oyly Carte Opera Company. 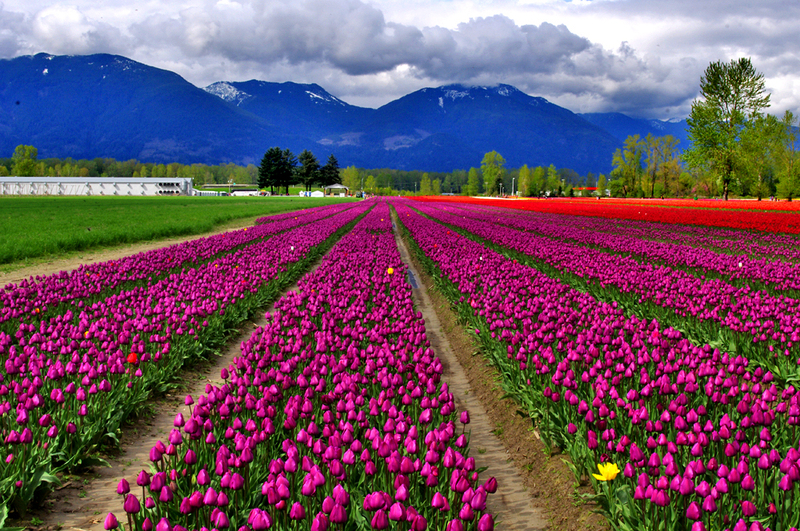 I am just curious, someone did all that work to plant them and water them for the tulips to just bloom? Because they are not used as cut flowers, is their only purpose, Beauty? Reblogged this on Rantings Of A Third Kind. The beauty of being a wonderful artist Andrew, is that you see things like this several times. The first when you visit and then as many times as you then capture them on canvase. The colors are simply astounding!